Recently bought the Sony A7R2 and been monitoring the full frame Sony zoom lens prices at camera price buster and others. 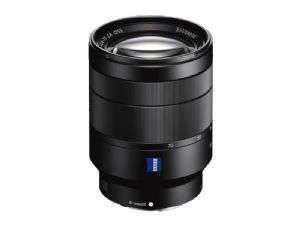 Appreciate this is not for everyone but if you are looking for a full frame Sony FE zoom lens ( excluding grey imports) I cannot find a cheaper uk supplier. This is £599.99 before cashback claim of £80 which makes this £519.99 after cashback payout from Sony. Free delivery and they also have outlets in quite a few city centres. The next cheapest is £699 and it’s over £750 at most other retailers! Thanks for sharing @wobblywobbly, heat added. Why does it get slagged all the time? Loads of reviewers say it’s not good enough to be a Zeiss, soft corners, etc etc but for the money it’s a hidden gem. Loads of reviewers say it’s not good enough to be a Zeiss, soft corners, e …Loads of reviewers say it’s not good enough to be a Zeiss, soft corners, etc etc but for the money it’s a hidden gem. *********** ONLY if you get a good copy - obviously you have used a good copy. *********** ONLY if you get a good copy - obviously you have used a good …*********** ONLY if you get a good copy - obviously you have used a good copy. Any lens can have a good and bad copy. Not just Sony that does that either. The LCE branch list shows there are 30 outlets spread nationally (mine is local) so there is always the option of calling in to one if you feel the lens is overly soft in corners. A good copy at this price will do for me. True - but it's a very well known issue that this lens has many bad copies. ‌ I'm only messing. I would imagine they have improved it over time, yes. If they haven't then they need to have a look at themselves. ‌ I'm only messing. I would imagine they have improved it over time, …‌ I'm only messing. I would imagine they have improved it over time, yes. If they haven't then they need to have a look at themselves.